I am sending you this email today asking for your support in fixing the winter tire issue in Bathurst. 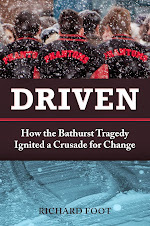 We all remember the tragedy that occurred almost 2 years ago in Bathurst one stormy winter night. I have been following the investigation and reports that have been published since this terrible accident. I read the other day in the Telegraph Journal that the new vans that are now being used to transport our youth to games and events for school still have not been equipped with the proper tire configuration. 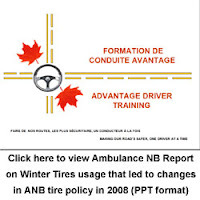 I am not a tire expert by any means but do understand the importance of safety, in 2007 the province took over the delivery of all ambulance services and contracted NBEMS to be the administrator of that service, NBEMS at that time changed all tire configurations on those units to the one that they used in Nova Scotia. Shortly after that change over there were a number of accidents involving ambulances, the complaints that were brought forward by the medics in the field was that the tires were like racing slicks in the cold weather and they were having trouble steering the vehicle. It took 4 months of campaigning before this company would agree to do some testing on the issue, by mid-April we were able to complete the testing on a number of different tire configuration and compounds. The results were all vehicles should be equipped with 4 WINTER TIRES not ALL SEASON or A COMBINATION of BOTH. I can provide you with those finding. I understand this issue because I am the union representative that lobbied the company to get this testing done. 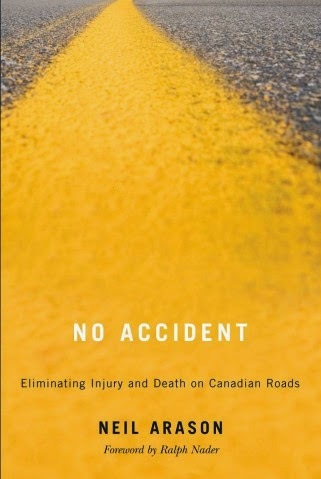 Transport Canada and the Rubber Association of Canada were also involved in this campaign to provide their insight as well. My question to you is really quite simple: Why would the Government of New Brunswick not recognize the need to put the proper tires on these passenger vans that are now carrying our children. I have spoken with the mothers in Bathurst who have asked for the use of one of the units for testing , why would you need to go there when you have the ability to look at the testing that was done for Ambulance NB or hire the same consultant that did the ANB test or simply do the right thing and install 4 winter tires. Premier Graham , I would like to hear your respond to this issue ,a simple explanation would be appreciated. I would like to Thank-you for your time and anticipate hearing from you. Rubber Association of Canada Communique about Winter Tires from December 4, 2005! !